Ryan Gravel at Switchyards Downtown Club. Photograph by Jason Seagle. Courtesy Switchyards. 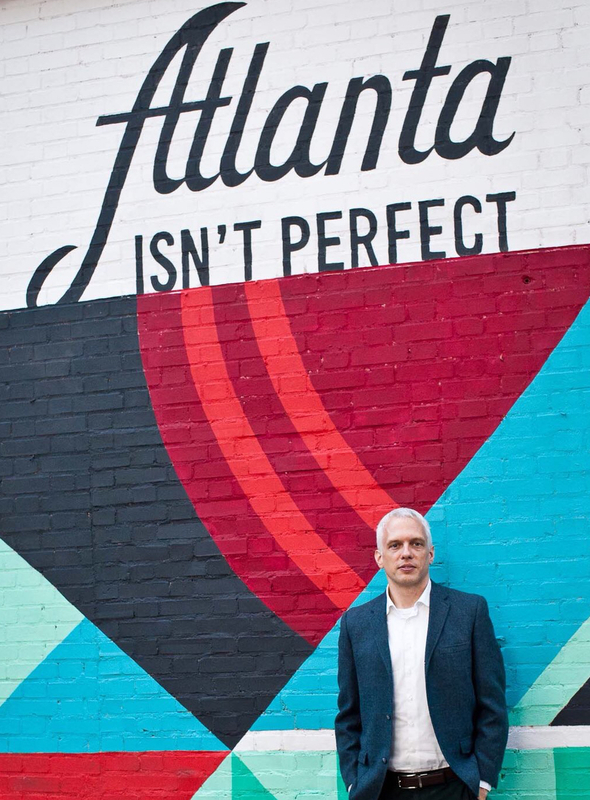 We recently sat down with Ryan Gravel, Atlanta’s most well-known urban planner, the visionary behind the BeltLine, and the author of the Where We Want to Live: Reclaiming Infrastructure for a New Generation of Cities, to discuss his current projects and his approach to envisioning new ideas for the city. 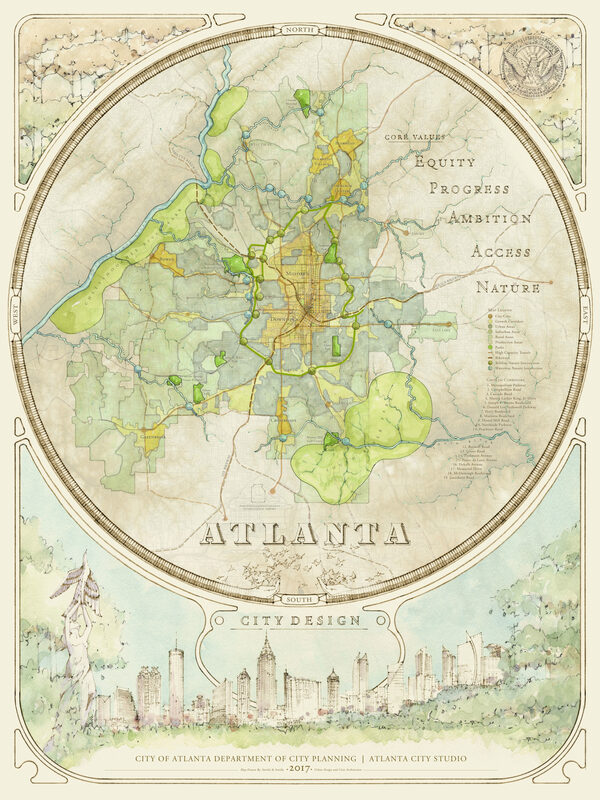 How has being a lifelong metro Atlanta resident shaped your approach to urban planning and design? I think if I had grown up somewhere like San Francisco or New York or Paris, it would be easy to appreciate urbanism. I think a lot of people in those places look down on Atlanta – and we’ve certainly made a lot of mistakes. But when you understand the region and what’s happening here, you begin to see the opportunity to define a new kind of city. Atlanta is not going to be Paris or New York. It’s going to be a different kind of a place and growing up here helps you to see what that might look like. Once you see it, it’s beautiful. And unlike those other cities, or even cities like New Orleans, Atlanta is still growing up and becoming itself. To be a part of shaping that is exciting, and I don’t know other places where you can do that. Atlanta’s population growth is going make it a significantly different region in twenty years – to help shape and define what that looks like and who that future will be for is extremely important. It’s challenging, but it’s fun and exciting as well. 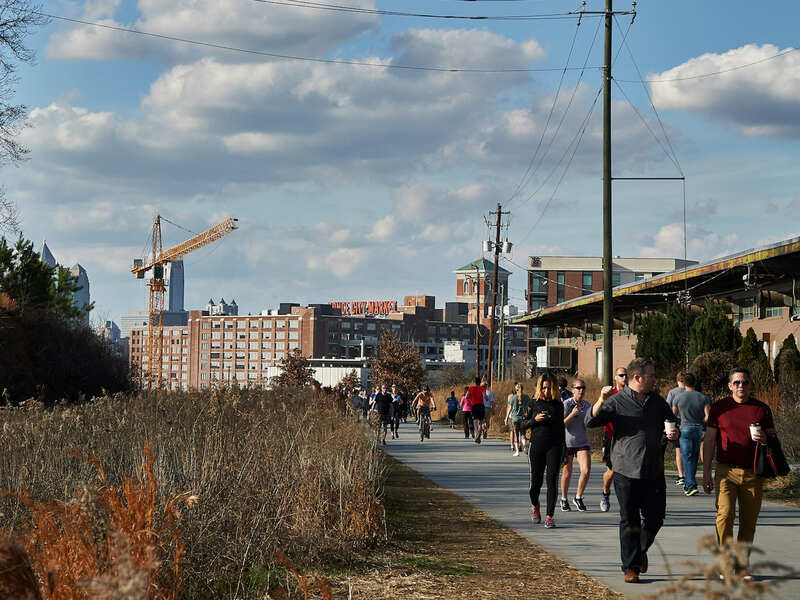 We might as well start with the topic that most know you for the best: the Atlanta BeltLine. What are your thoughts on the current state of the project and its future, particularly given the ongoing controversy over affordable housing? In the big picture, the BeltLine is doing everything we always said it would do – and in spades. It’s outperforming our wildest dreams. People may take offense to its description as a “glorified sidewalk,” but I think that’s spot-on. In so many ways right now, the Atlanta BeltLine is just a trail. But the trail is not the vision. The vision is about the lives that it creates – the way of life that it makes possible, and that wasn’t possible before. That means it is about us, not about the thing itself. So the obvious next question becomes who is “us” – who is the BeltLine for? That leads directly to the challenge of housing affordability. But because the project emerged in the way that it did, through a grassroots movement that was built around communities of people who wanted this outcome for their lives, we included accountability to affordable housing in our vision. There were housing advocates at the table and they are why the Tax Allocation District (TAD) includes a commitment to 5,600 units. Looking ahead today, of course, that’s not enough. I don’t think we could have imagined the powerful economic forces that we’re facing today. Cities across the country are struggling with this issue of housing affordability. 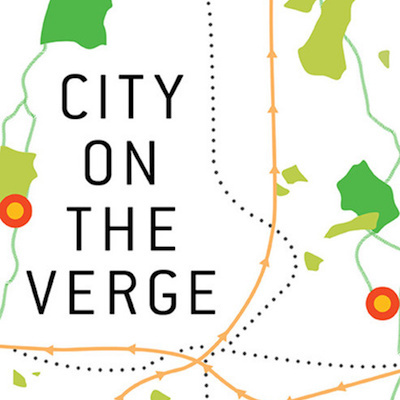 Atlanta is not alone, and this issue goes way beyond the BeltLine itself. We’d be struggling with this issue without the BeltLine, but I think without it, we also wouldn’t have the TAD’s commitment. And we wouldn’t have the dialogue that is growing around affordability and equity, which gives us the opportunity to resolve it. What I see emerging today is a remarkable public discourse around affordability. No matter who is elected our next mayor, we also need to claim some responsibility. We need to speak up and hold them accountable to building a city that’s for everyone. That goes for the BeltLine, too. I’m excited to see the change in leadership at Atlanta BeltLine Inc. and I hope it will open the door for the partnerships required to achieve our vision. This is real time here – this story isn’t over – in fact, it’s far from over. On that note, how do you see the region’s enormous projected population growth impacting the BeltLine’s future? I don’t think the BeltLine itself needs to change substantially. Mostly, we just need to build it – and the sooner the better. That is especially true for transit, because we want to create opportunities for people to live in Atlanta without a car, or at least to be less dependent on cars. If we don’t build the transit soon, we can’t expect that outcome. We have to do it now. In some areas that will mean building transit ahead of growth. But we’re building a city – not chasing after riders who are already committed to cars. In an city like Atlanta, which is growth-oriented, if we focus on building the kinds of walkable, transit-oriented environments that people want, we’ll get them. Imagine how many more people could live here if we didn’t have to build so much parking. Imagine if we were attracting transit riders to these communities instead of car drivers. Moving beyond the Atlanta BeltLine, could you tell us a bit about your current involvement in the Atlanta City Design Project and the Atlanta City Studio? The Atlanta City Studio is an urban design studio that is part of City Hall, but located outside of City Hall. They’re a pop-up – they were here at Ponce City Market for a while, and now they’re out on Cascade Road. They engage with different kinds of urban design needs around the city and with different partners and communities that are building the city and its future. The Atlanta City Design Project is one of the projects of the City Studio. Tim Keane, who is the Commissioner of City Planning for the City of Atlanta, hired me to lead the effort with support from the City Studio staff. It is the design of the city, which kind of sounds ridiculous. But it’s about designing the dramatic change that is coming to the city so that it creates a better version of Atlanta, not some other city that we don’t like or recognize anymore. That gets immediately to the civic identity of Atlanta – who are we? What is this place? These are important questions and when you look at other cities that have a very clear civic identity – San Francisco comes to mind, or New Orleans, New York or Chicago, Washington DC – these cities have a very clear sense of themselves. Atlanta is just a different kind of place. So, the first question we faced was what the city is. 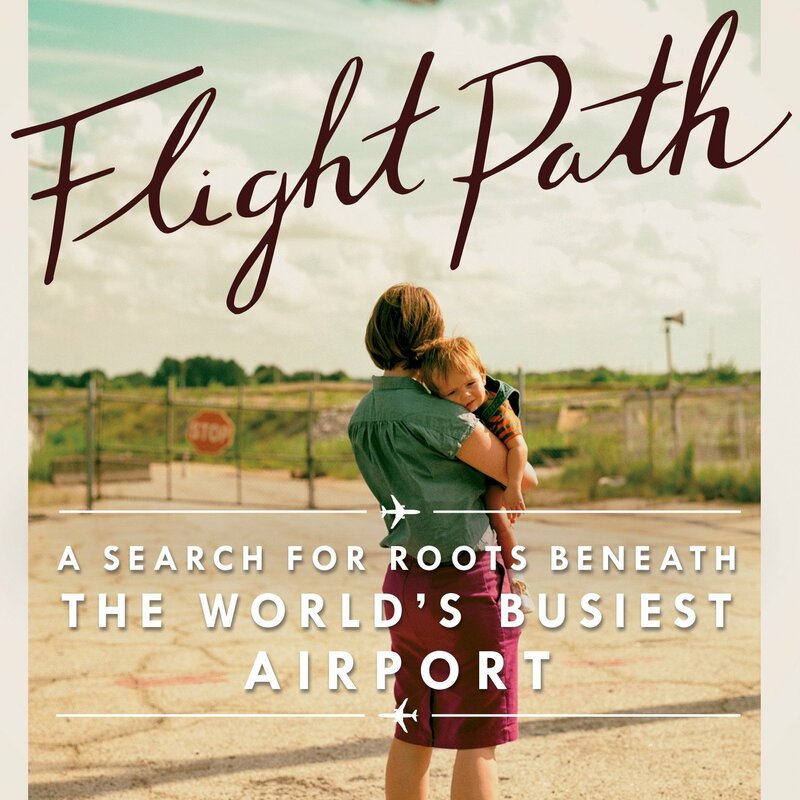 And for that starting place, we kept coming back to the idea that Atlanta’s contribution to the world is the legacy of the Civil Rights Movement. That is literally the thing that separated Atlanta from Birmingham, Jackson, and the rest of the South. It is the thing that made Atlanta palatable to international and national investors, that translated into economic opportunity, and that led to widespread economic prosperity for the region. You can literally draw a direct line between our prosperity today and the Civil Rights Movement – which is a beautiful thing and something no other city can claim. The obvious implication of designing a city built out of that movement is that it must be a city for everyone. When Dr. King talked about the “Beloved Community” he wasn’t talking about some utopian place. He described an actual place where people live together. So the subtitle of our new city design book is “Aspiring to the Beloved Community.” With that as a starting point, we identified five core values that describe Atlanta at our best. They are Equity, Progress, Ambition, Access, and Nature. The design proposes to organize all the things that we do, all the planning, all the investments, around those core values so that all the city’s plans and investments; all the things we do are accountable to our values. This fall you are also teaching a course at Georgia Tech and I was wondering if you might tell us a bit more about that, your hopes for it and where it fits in your future plans. This course is part of Generator, a non-profit organization I started because I want to generate ideas about the future of cities without worrying about clients. And because I don’t want to go around asking people for money, Generator will be funded primarily by a bar called Aftercar that I am also in the process of pulling together. The bar will be a venue for ideas – it’ll take on a kind of Blade Runner/Mad Max kind of vibe and be a place for the ideas that Generator facilitates. Generator will do a lot of different things, but I want to make sure young people are able to come up with ideas and have a voice and a platform for sharing their ideas. That’s why we’re piloting Generator Workshop – a curriculum for a course about idea generation. We’re starting in the College of Design at Georgia Tech, but later we could teach it in the school of Public Health at Emory or Economics at Morehouse – the idea is broad. We want to generate new ideas about cities and how people live. For this first course, we are focusing on Buford Highway as a geographic area rich with cultural diversity and a lot of current challenges for cities – like gentrification and identity. The students’ ideas could range from a bus stop to an after-school program to a phone app. But in every case, they will have to be thoughtfully executed in terms of who they are intended to benefit, their social and cultural outcomes, their financial viability, and the student’s ability to develop visualization, narrative, and a political strategy. We’ll publish a journal of ideas for the class, and the best ideas will be included in what we are calling Generator’s “Library of Ideas” – a digital and physical platform that is fully integrated with Aftercar. Atlanta’s Buford Highway – Atlanta, GA. Photo by Kate Medley. CC BY 2.0. Assuming the workshop works out, we’ll continue teaching through various schools and at Aftercar for the general public. Ideally, we’ll also find partners in other cities and over time, develop a huge library of ideas about cities. But beyond any individual idea, Generator is really about developing a culture of ideas – a future where ideas are welcome and wanted, explored and taken seriously, and where at least some of them can be implemented. Some of the ideas will be real projects – civic initiatives or new businesses – but some will be intentionally provocative. They’ll challenge us to see and think differently. Considering that you are a graduate of Georgia Tech, it makes sense that you would conduct your pilot offering of this course there, but what drew you to Buford Highway as the site for this inaugural Generator Workshop? I grew up in Chamblee, so I know Buford Highway is a special place. I’m an urban planner and understand its challenges. 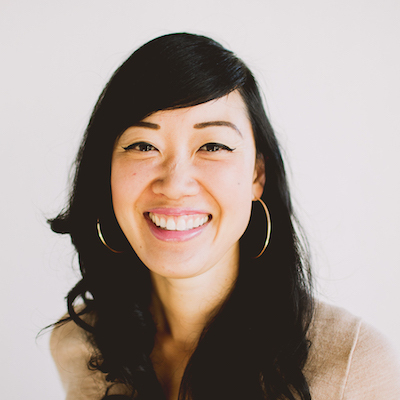 I’ve also been really inspired by Marian Liou and the work of WeLoveBuHi. We met on Twitter and then she asked me to do some talks along the bus crawl they did with MARTA Army. It was a really amazing way to experience Buford Highway. I was also on the team for the Livable Centers Initiative for Chamblee and Doraville on rethinking Buford Highway and its future. But like most anybody, while I’m excited about the future there, I’m also concerned about the long-term sustainability of the ethnic and cultural diversity in the corridor. 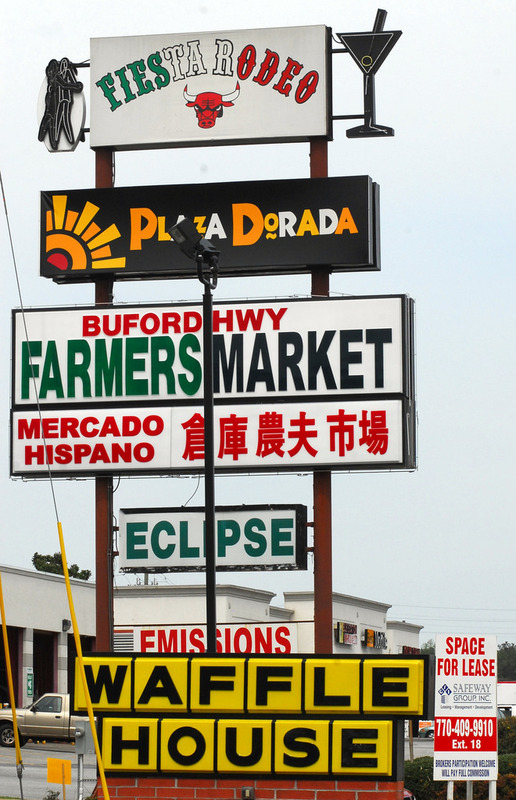 As our region grows by two and a half million more people in the next twenty years, the economic forces will threaten everything we love – including Buford Highway. Our answer can’t be that Buford Highway won’t change – because it will. But it needs to change in ways that support and include the people who live and work there today. And I just believe that we’re not going to accomplish that outcome if we don’t develop some new ideas. That’s what Generator Workshop is all about.